He'll go bananas for the mini rodini™ Banana Swimshorts. Lightweight swim trunks crafted from recycled polyester and featuring a printed banana at the left leg. Elastic waist with surf-tie closure. Product measurements were taken using size 116/122 (6X-7Y Little Kids/Big Kids). Please note that measurements may vary by size. 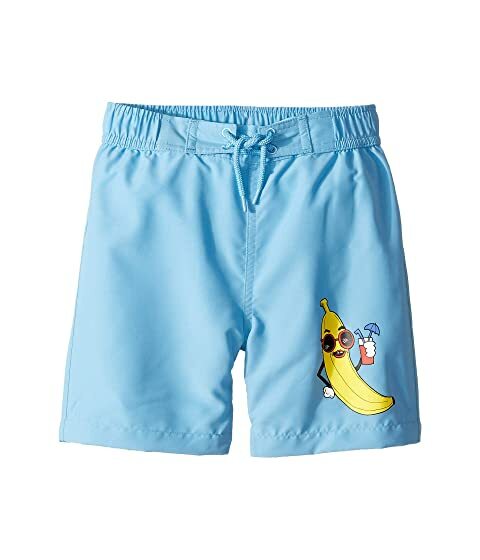 We can't currently find any similar items for the Banana Swimshorts (Infant/Toddler/Little Kids/Big Kids) by mini rodini. Sorry!